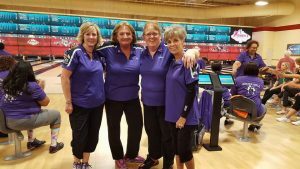 During league bowling lanes may not be available. Want to check? Just give us a call at (435) 586-1383. Monday Special Rent a lane for one hour for only $25. Shoe rental available for $1 per pair. Minimum of 4 bowlers per lane and a maximum of 8. All prices are plus tax. Games prices are per person per game. Prices subject to change on holidays. 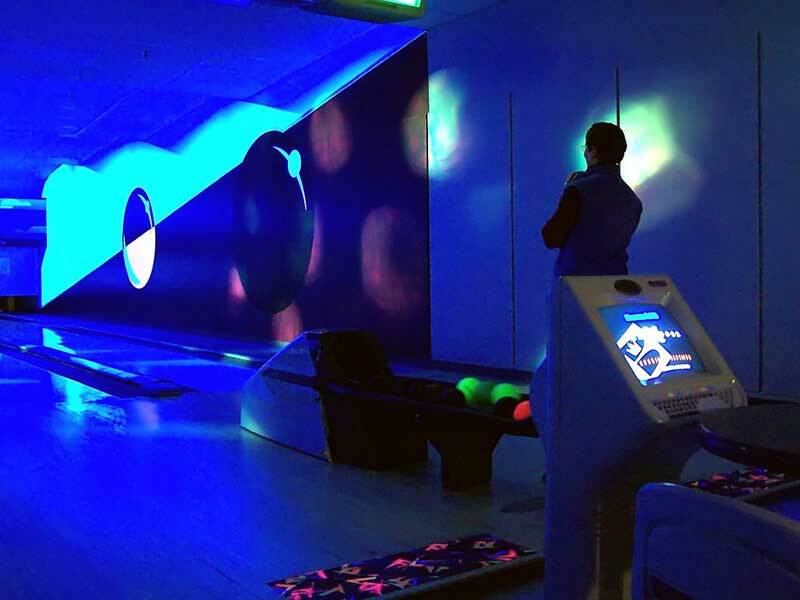 Cosmic Bowling – Friday & Saturday Nights! Ready for some FUN? Join us every Friday & Saturday night for Cosmic Bowling. The lights get dark and the fun starts at 9pm and goes through midnight. 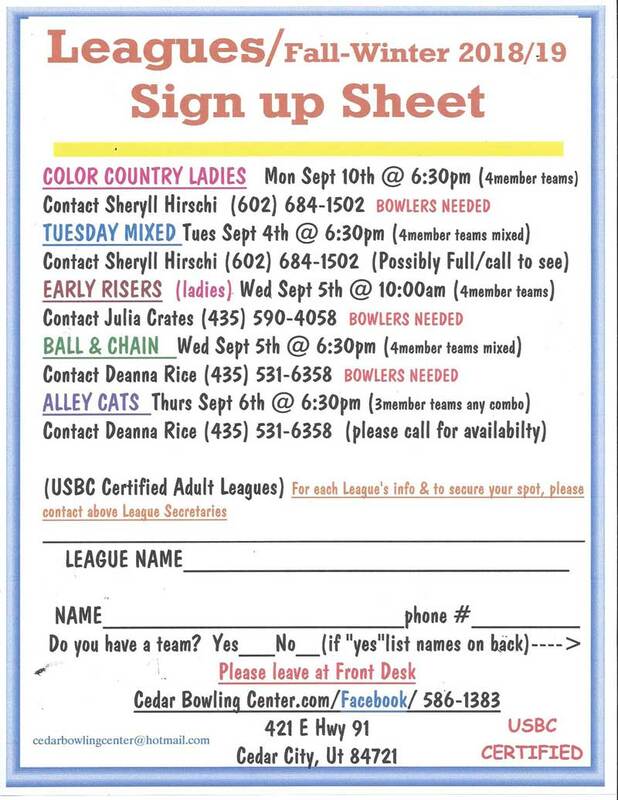 Sign up now for one, two or more of our bowling leagues. This is where you’ll make new friends, reconnect with old friends, break personal records and create new memories. Our groups have the best camaraderie and lively competition. Kids get off their electronic devices and into fun with the Cedar Bowling Center Jr. Bowling League. Great times, great prizes and awards. This is the place to be! Fall 2018/19 information will be coming soon. ALL league bowlers enjoy great benefits!! !